Eyes are the most delicate external organ in the body. Any cosmetic surgery procedure around the eyes should ideally be performed by a highly trained surgeon specializing in facial procedures. Blepharoplasty, commonly known as eyelid surgery is a procedure designed to reduce the signs of aging such as sagging skin around the eyelids, under-eye bags and hollows beneath the eyes. Dr. Eric Yavrouian is an experienced facial plastic and reconstructive surgeon and board certified otolaryngologist providing blepharoplasty and various other procedures. Dr. Yavrouian will customize the procedure according to the unique aesthetic needs of the patient for optimal outcomes. He provides eyelid surgery to patients in Glendale, Pasadena, Burbank, Greater Los Angeles CA, and surrounding communities. The upper eyelids are puffy or inflated. Eyes look old and tired due to wrinkles and fine lines. Loose skin in the upper eyelids, which may also cause partial vision obstruction. 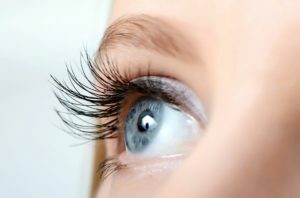 Most candidates for eyelid surgery are above the age of 35, but if baggy or droopy eyelids run in the family, the candidate may receive this procedure at a younger age. Lower eyelid surgery is designed to reduce or redistributed excess fat deposits, which can commonly occur under the eye. Sagging skin can also be tightened by excising the excess skin to reveal smoother, firmer, and more youthful skin surface above the cheek. Sometimes lower blepharoplasty may be combined with fat transfer or non-surgical procedures such as dermal fillers to address hollowed areas under the eye. In some cases, muscle laxity may be causing the drooping of lower eyelids. Weak muscles can be tightened to correct the condition during eyelid surgery. The incision to perform eyelid lift will be made along the natural creases around the eyelids to keep the scarring very discreet. With upper blepharoplasty, it is possible to correct the appearance of saggy, inflated upper eyelids through removal of excess skin and fat tissue. Through an incision placed along the natural creases of the upper lid, the surgeon will trim away loose skin that may be contributing the droopy or tired look. Muscle repositioning may also be performed through the same incision. Once the excess skin is removed, the remaining skin is lifted and smoothly reattached to create a more youthful upper eyelid appearance. The surgeon will then close the incisions with fine sutures. This procedure may be recommended for patients who have less conspicuous under-eye bags. Excess skin removal is not involved in this surgery, and only the excess fat pockets are removed. Several small incisions are placed inside the lower eyelid for this procedure, which ensures no scars are visible from the outside. 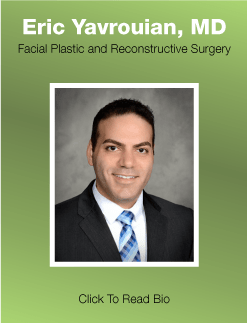 Leading facial plastic and reconstructive surgeon Dr. Yavrouian receives patients from Glendale, Pasadena, Burbank, Greater Los Angeles CA, and nearby areas for eyelid surgery and various other surgical and non-surgical procedures.